After a tough 2-1 loss on home ice in Game 1, the Lightning, who led the league in goals scored per game (3.16) in the regular season, were looking at ways to inject some offensive punch in an effort to tie their series with the Chicago Blackhawks. Garrison certainly responded to the gameplan that was set out. It was the native of White Rock, British Columbia, who scored the game’s winning goal, a power-play blast from the point at 8:49 of the third period. Rookie goaltender Andrei Vasilevskiy saved the evening for Tampa Bay, stopping all five shots he faced in the third period, after coming in to replace starter Ben Bishop, who had to exit the game on two occasions. 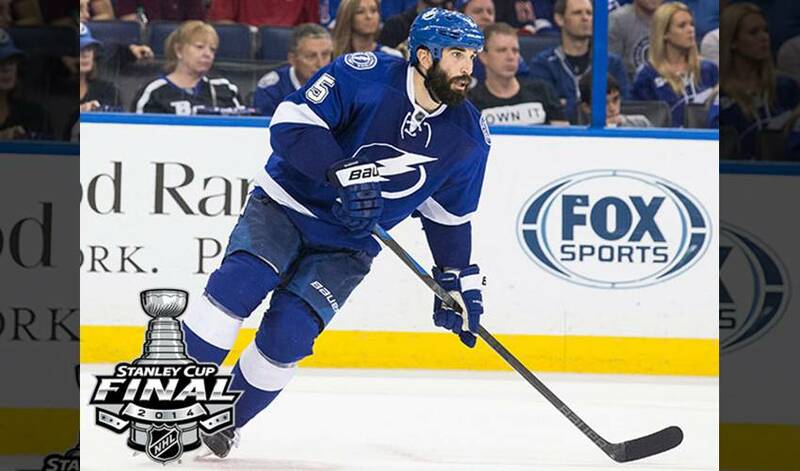 Part of that support will be for Garrison and the Lightning’s defensive crew to maintain an offensive spark. It’s a necessity against a formidable foe, a team that won the Cup in 2010 and 2013. Something Jason Garrison would know a thing or two about.